Builth Wells/Llanfair ym Muallt TownBuilth Wells is an interesting market town, which plays host to Wales's Royal Agricultural Show in July each year (see www.rwas.co.uk for dates and details), and any number of smaller shows and fairs throughout the year. It offers everything one might expect from a town of its size; sports and leisure facilities include an 18 hole golf course, pony trekking and renowned angling spots. Builth also provides an excellent base for exploring the beautiful countryside - either on foot or on horseback, and for delving into the history of Wales's last prince, Llewelyn, who was murdered just outside Builth in December 1282. An impressive monument to Llewelyn is located in Cilmeri where he fell, a ten minute drive from the town. Builth Wells was founded by the Normans when Philip de Braose constructed a timber Motte and Baily Castle at a commanding point overlooking the ancient crossing of the Wye. However, the name Builth - in Welsh 'Buellt', is older than the town to which it refers, having originally applied to the 'Cantref' or 'Hundred' - an land area used in the old Welsh administrative system. Edward 1 rebuilt the early Norman fortress as a stone castle in 1277, unfortunately however, no traces of the castle apart from its site remain. It was beneath the shadow of that castle that the town grew up, and took its name from the church dedicated to St Mary, or Mair in Welsh, that was established beyond the castle walls. The town therefore became known as 'Llanfair ym Muellt' - St Mary's in the Cantref of Builth. The town flourished, so much so that in 1277 it became a Borough Town and was granted a Royal Charter by Edward I. It was to continue to thrive over the next four centuries. A new bridge, on the present site was constructed in 1779, and coupled with the development of a new road linking north and south Wales in the 1820's, catalysed further substantial growth of the town. Most of the Builth town as seen today dates back to Victorian and Edwardian times when the discovery of health springs in the area gave the town a new lease of life. 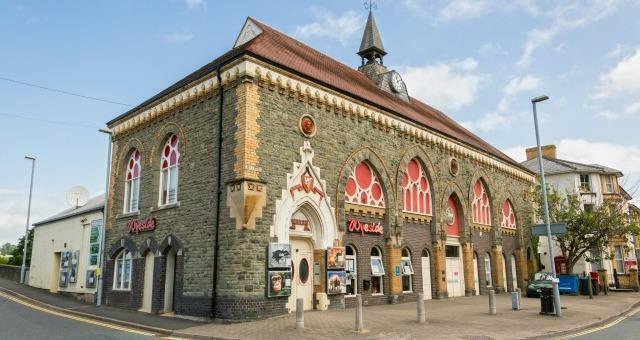 The first recorded mention of the mineral waters at Builth dates as far back as 1740, however, it was not until the development of Park Wells with its Saline, and the Glanne Wells with its sulphur in the 1830s that Builth's reputation as a spa town flourished. A tourism industry was born in Builth, and during the second half of the nineteenth century, large numbers of visitors came to Builth to 'take the Waters'. This industry was further supported by the arrival of the railways in 1860. It is at this time that the word 'Wells' was added to Builth. Builth Wells is an interesting market town, which plays host to Wales's Royal Agricultural Show in July each year (see www.rwas.co.uk for dates and details), and any number of smaller shows and fairs throughout the year. It offers everything one might expect from a town of its size; sports and leisure facilities include an 18 hole golf course, pony trekking and renowned angling spots. A44 from Worcester/Leominster; A481 from Fforest Inn.